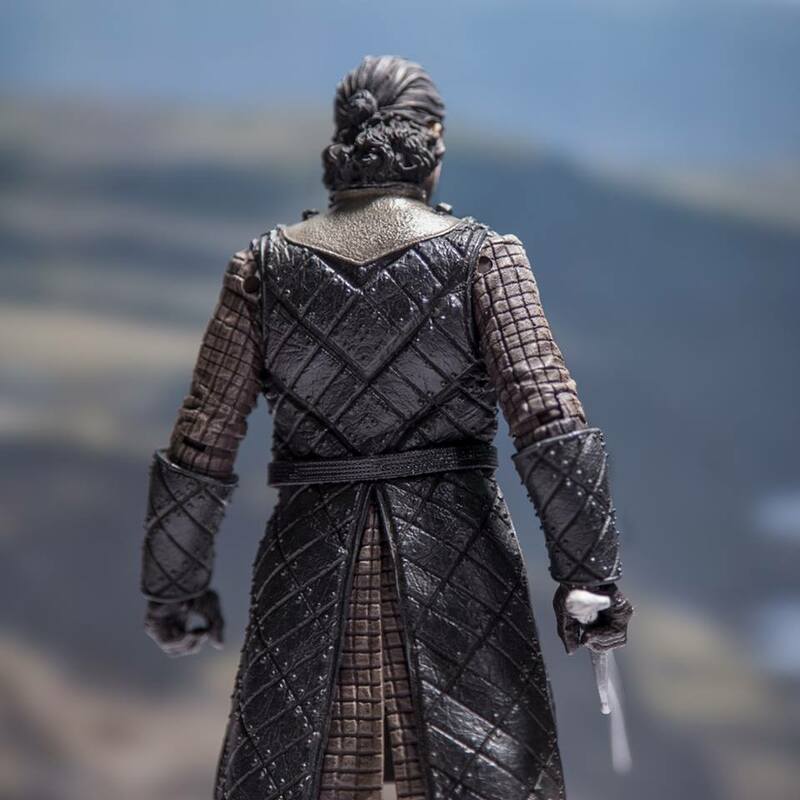 A Close look at Jon Snow gives us a better look at how this line is shaping up! One of the biggest surprises this year was McFarlane Toys getting the Game of Thrones license! With how well received their Star Trek and Fortnite figures have been there’s been a lot of excitement around this line. I’ve been following all the updates on these first series of figures and the more I see the more impressed I am. 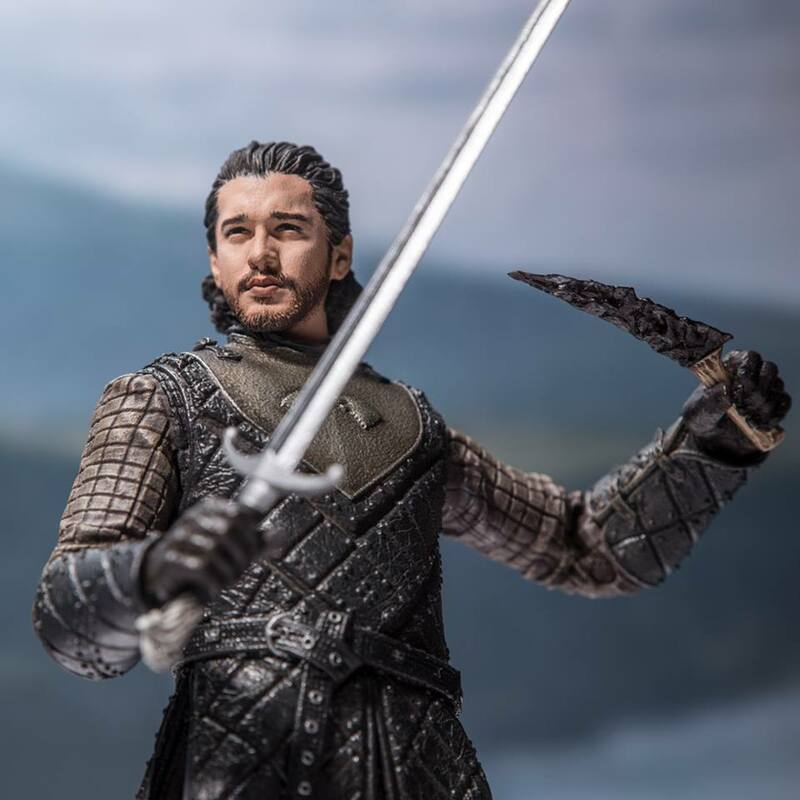 Now McFarlane Toys have given us a closer look at Jon Snow and how some of his articulation is. As you may know, this figure is based on his appearance during the seventh season of the series. Jon comes with Longclaw and a Dragon Glass Dagger. The likeness to Kit Harrington is really good, a lot better than the 3D Scan. It’s a very stoic look but it suits him very well. The detailing is excellent as well as you can see all the texture and details in his outfit. It looks fantastic. The figures will be in the 6″ scale and will have articulation is akin to that of the Star Trek figures which I am more than happy with. 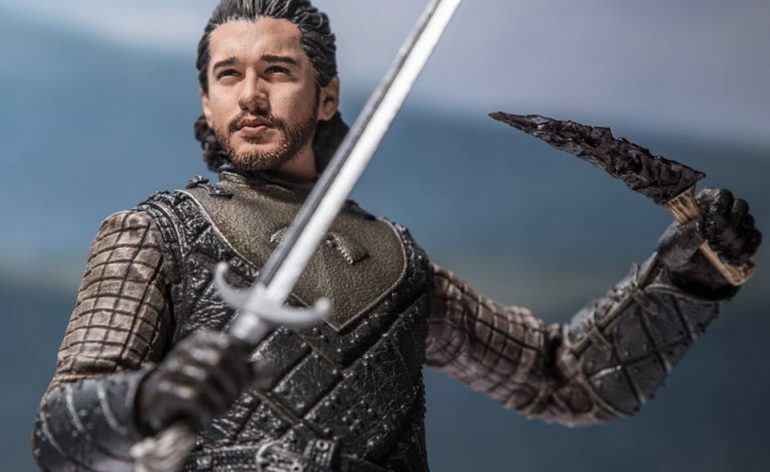 You’ll be able to get Jon in a variety of poses holding his weapons and he’ll look fantastic on display with the other Game of Thrones figures of which I’m hoping McFarlane Toys will release many. My only complaint is that I would like him to come with more accessories like a cloak and a sheath for Longclaw. Series 1 of McFarlane Toys Game of Thrones figures will be released in the April of next year.